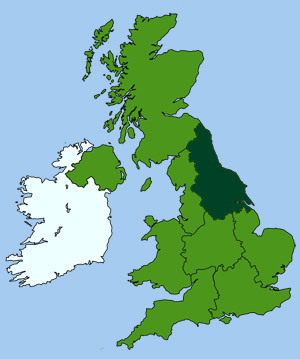 A large industrial city in west Yorkshire. It has a population of around 400,000, comprising of mainly of diverse immigrant communities. It starting out as a major wool textile producer in the 13th century and later diversified into engineering and manufacturing during the industrial revolution. During its heyday, in the mid 19th-c, Bradford was the worlds largest producer of worsted cloth, however its prosperity has been in steady decline since the 1970s. The city centre has a small core of historic buildings set around an open square, including the fine Gothic-style city hall constructed in 1873, with its impressive clock tower that provides carillon chimes. 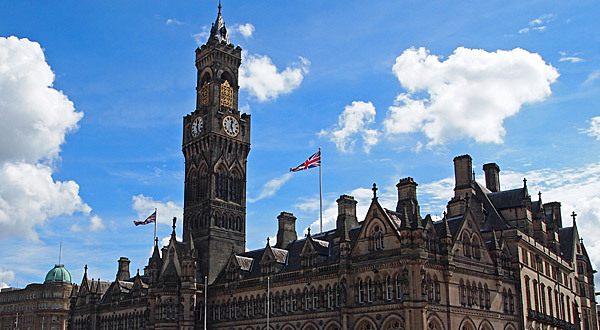 The nearby Victorian St Georges Hall, built in 1853 (originally Bradford's assembly rooms), provides a splendid concert venue hosting a wide range of entertainment from comedy to rock, pop and classical concerts. 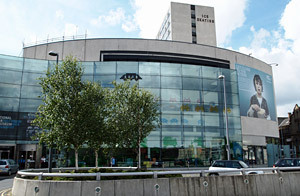 Bradford's main theatre venue, named after the Alhambra palace in Granada, hosts a wide range of top entertainment, from international dance to musicals, ballet, drama and national theatre. The historic quarter of Bradford, nicknamed Little Germany, includes many 19th-c neoclassical warehouses; a legacy of the rich merchants of mainland Europe. The area is now one of Bradford's busiest commercial sectors and many of the warehouses have now been converted into modern apartments. Classic West Yorkshire manor house dating from the 17/18th-c. It has beautiful ceilings, paneled rooms, period plasterwork, heraldic glass and a rare Chippendale furniture. Once home to the Bolling family, the house now contains a local history museum and education centre. Historic woollen mill, where raw wool was once processed into cloth. As well as experiencing and hearing the mill machinery you can take a ride on an authentic horse drawn tram from the period. Regular demonstrations and exhibitions held. Early 20th-c Baroque style museum and gallery, displaying collections of 19th and 20th-c works, plus contemporary and older works by both British and European artists. Discover the history of photography and film and visit the IMAX giant screen experience. Learn about the development of television over time. Watch classic TV and interact with light and colour in the Magic Factory and also explore the world of animation and stop motion. Regular changing exhibitions and special events. Facilities: Parking (nearby), café, shop. A fine Victorian mill-owner's house set in extensive gardens, with a small aviary. Displays include local history and geology, as well as art and period furniture.